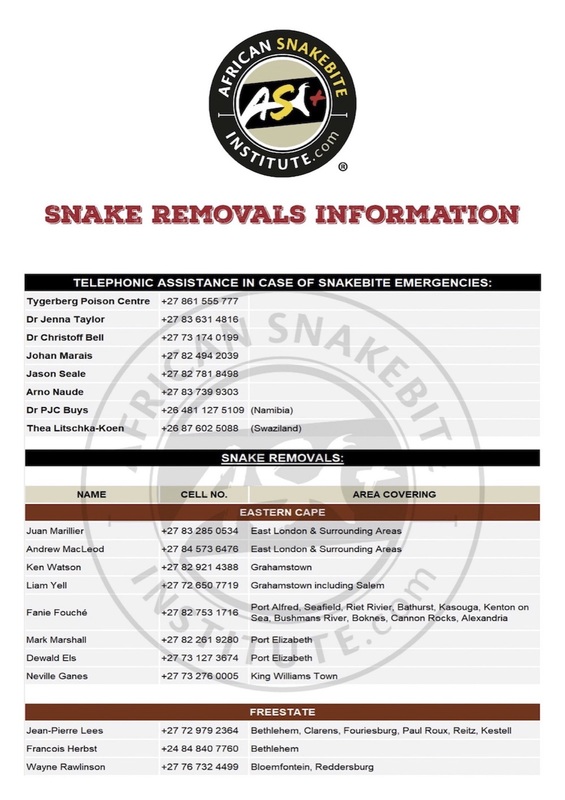 Welcome to the African Snakebite Institute! 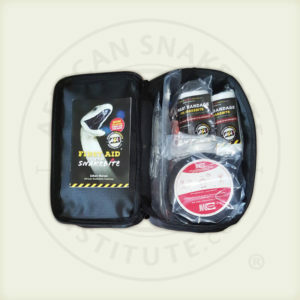 We are the leading training provider of Snake Awareness, First Aid for Snakebite and Venomous Snake Handling courses in Africa. 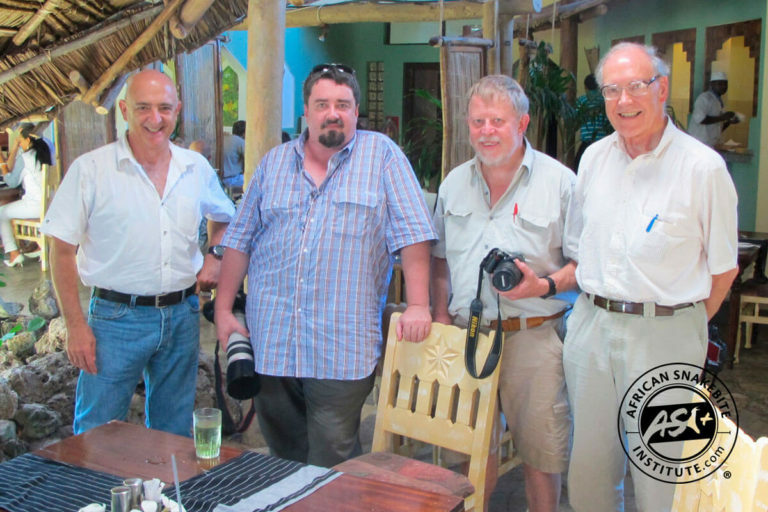 Our courses are presented by Johan Marais, one of Africa’s leading herpetologists, with over 40 years of experience. 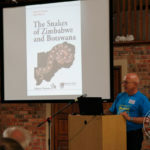 Johan is the most prominent author of snake books in Africa and has written the best sellers A Complete Guide to the Snakes of Southern Africa, Snakes and Snakebite and First Aid for Snakebite. 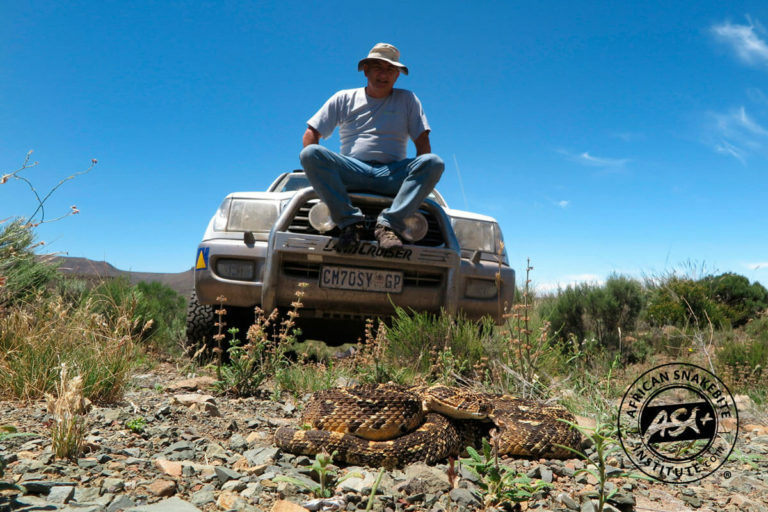 He is also the snake expert for the Tygerberg Poison Centre and the Red Cross poison centre, as well as advisor to various hospitals and clinics throughout Africa.  ASI conducts on-site training to corporate clients throughout Africa, including mines, construction companies, government departments and game lodges. 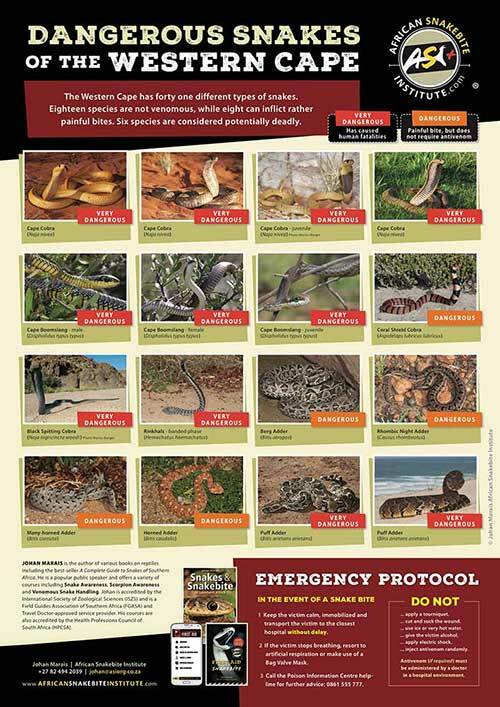 We also offer public courses for snake enthusiasts.  Our courses are accredited by the International Society of Zoological Science (ISZS), Field Guides Association of South Africa (FGASA) endorsed and registered with the Health Professions Council of South Africa (HPCSA) for CPD points. 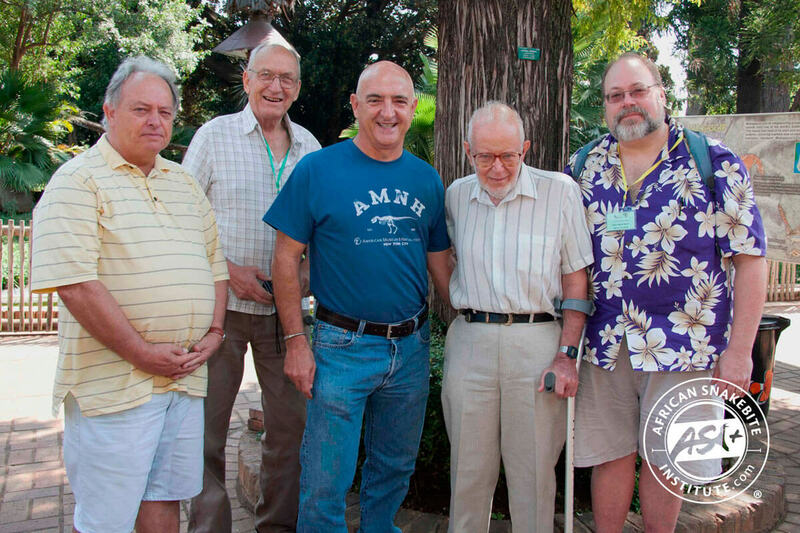 Read more about the courses we offer here. 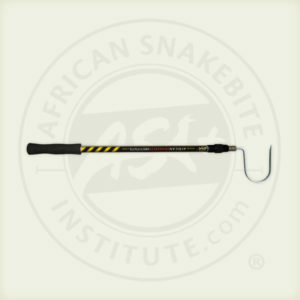 We are also the largest distributor of quality snake handling equipment in Africa. There is no compromise when it comes to safety, and we’ve developed an extensive range of equipment for every possible requirement. 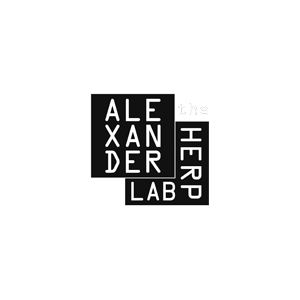 Check out our Product List. We also offer public courses for snake enthusiasts.  Our courses are accredited by the International Society of Zoological Science (ISZS), Fields Guides Association of South Africa (FGASA) endorsed and registered with the Health Professions Council of South Africa (HPCSA) for CPD points. 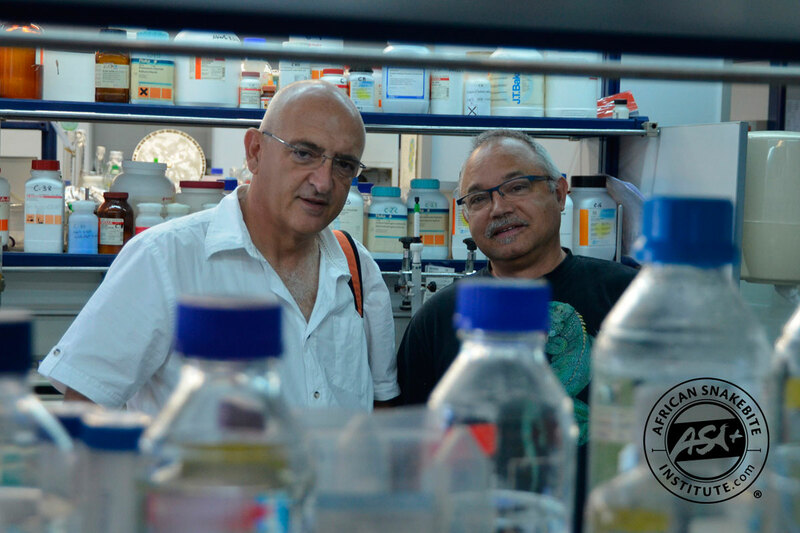 Read more about the courses we offer here. 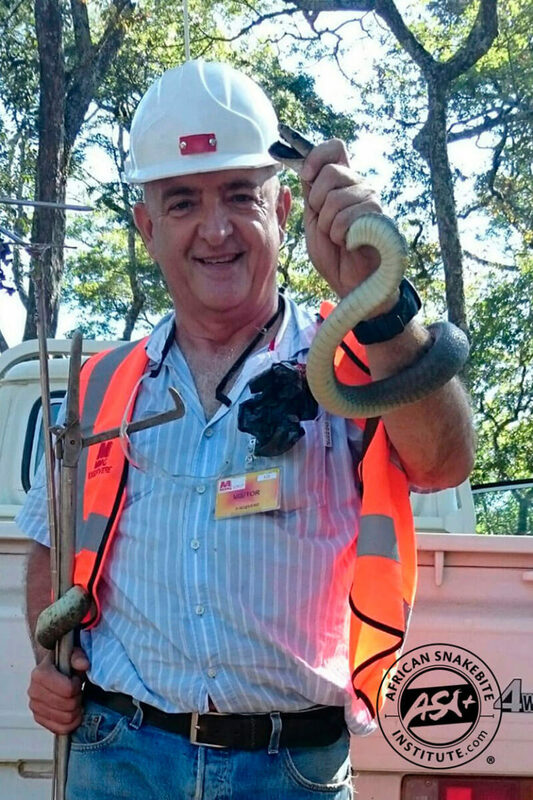 I’m pleased to say that the snake handling course held on the 4th of November 2015 exceeded our expectations. I can confirm that the course was very educational and all our people learnt a lot from it. 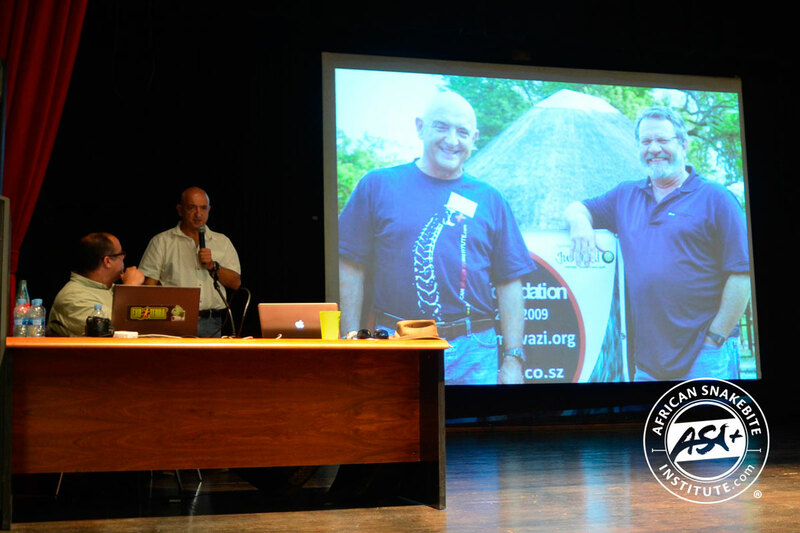 A special thanks to Lucia’s training budget and Johan Marais for conducting the training. 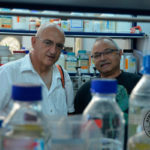 I can recommend Johan @ the African Snakebite Institute for any of our other sites. I did the snake awareness and venomous snake handling course as well as the advanced handling course with Johan Marais and his colleagues. It was an incredible experience and I would recommend it for anyone who wants to learn more about the amazing snakes we have in southern Africa as well as safe and proper ways to handle them. 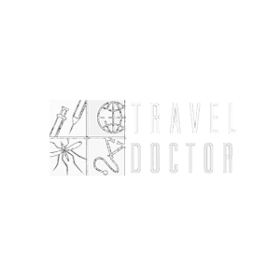 I ordered a scorpion torch, excellent service and a fantastic product. I did the Advanced course with Johan Marais and the ASI team and wow it was awesome and the team are just informative and helpful all the way… Any snake lover I would highly recommend to go do the Snake id, handling and first aid course, followed up with the Advanced Snake handling… Thank you for helping me make a childhood dream come true Johan, Ashley, Shawn and Teacher - you guys rock!!! Finished the awareness and venomous snake handling course today at Cradle Moon - was blown away with the professional presentation, course notes and practical session in the afternoon. 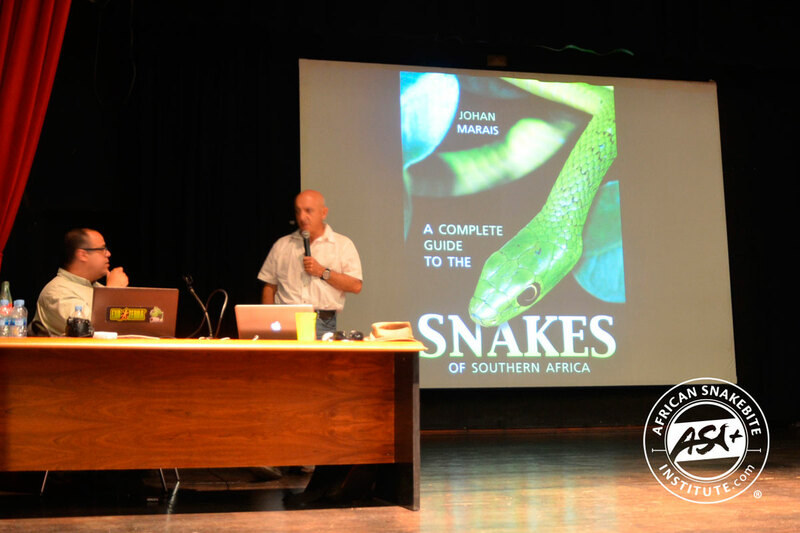 Thank you Johan and Team - I will recommend this to anybody with an interest in snakes. Your sections on scorpions, spiders and marine animals was a really nice touch as well! We did the full course (handling venomous snakes too) and it was great! Very informative and fun too! We didn't want to stop handling the snakes, hopefully won't need to anytime soon! I did the Venomous Snake Awareness and handling Course at Cradle Moon and I thought the course was great. Informative, informal, but professional. The venue was good. 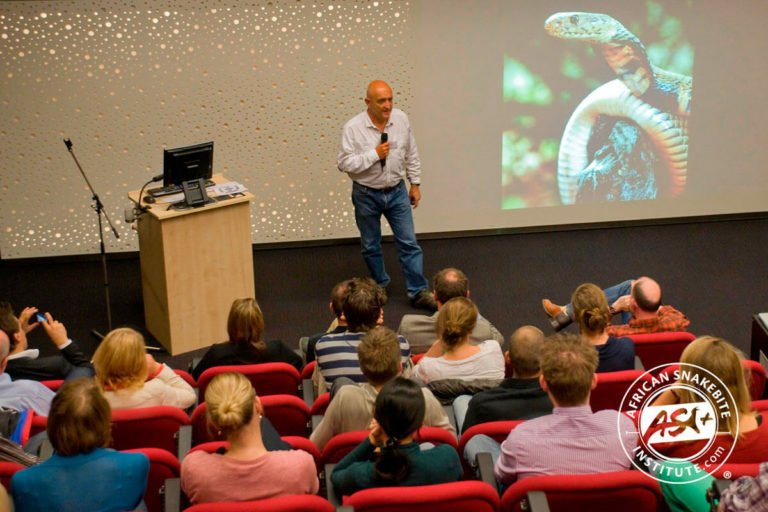 I was worried that the lecture/theory was going to be boring as I have quite a good knowledge of spiders, scorpions and snakes, but it was well presented and engaging. 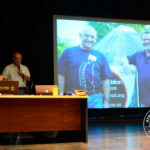 It's also great to be able to ask someone of Johan's reputation questions directly and he is only too happy to share his knowledge and experience. I loved the whole course. Been on the course Saturday... Amazing experience. Wonderful personal. I recommend this for everybody. Thank you Ashley and Johan. You are a great team. 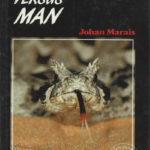 I did the Venomous Snake Handling course with Johan Marais and can highly recommend it. 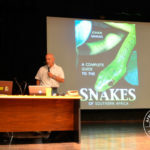 The informational content that ASI puts out is first-class, and I suggest that anyone with an interest in snakes sign up for their newsletter and get Johan's books. 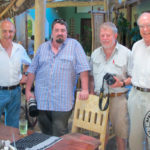 Great day spent at the German Club, Port Elizabeth last Saturday. Many thanks Johan. Learnt a hell of a lot. I have always had a fascination with snakes and through this page I have learned so much. Keep it up guys. Wonderful information. 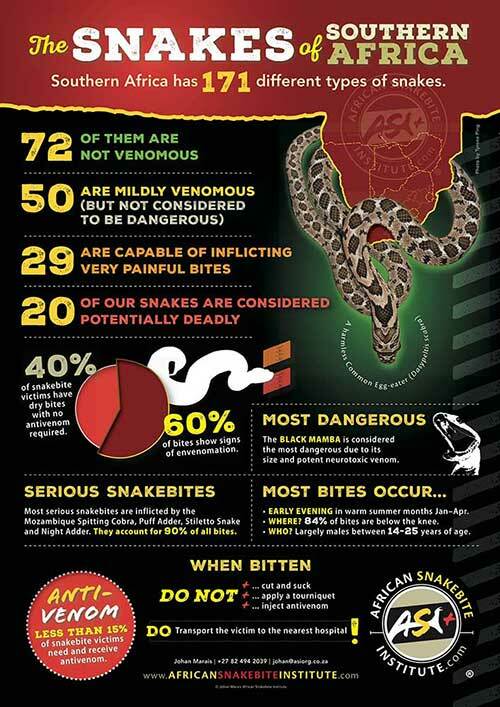 I've learned a lot by reading African Snakebite Institute Facebook and Website. The poster downloads available from the website for different provinces and cities are wonderful with good descriptions. 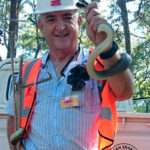 I attended the Snake Awareness, First Aid For Snakebite and Venomous Snake Handling course over the weekend at Butterfly World. 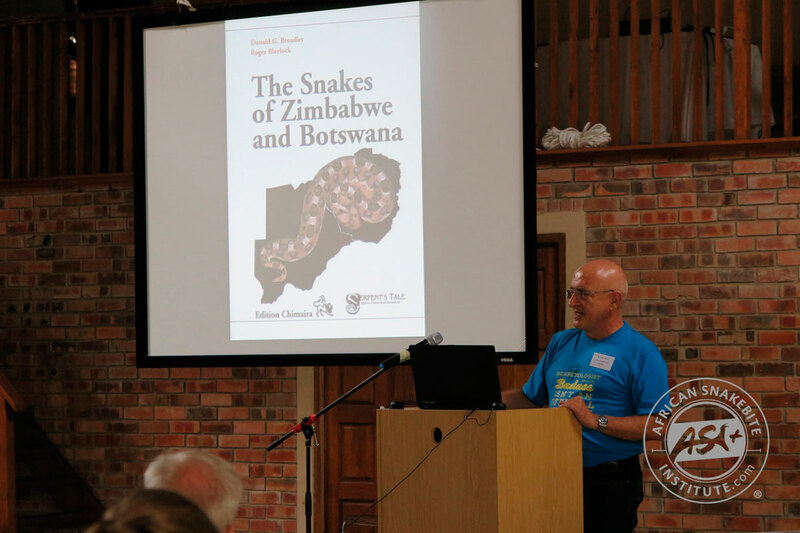 The presentation, methodology of teaching, notes and snake booklet were the best I have ever received – I was a high school teacher so its no mean praise!  I have done many different types of short courses. 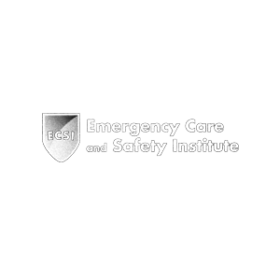 I attended the course on 24 March 2018. I was totally impressed. Of ALL the Nature type course I have attended over the years this one is by far the best. Thank you Johan. 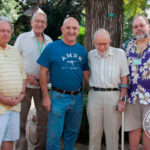 Very knowledgeable and a great sense of humour. Thank you Ashley for your superfast response via email and Facebook. I can recommend this course to anyone. It is a real eye opener! 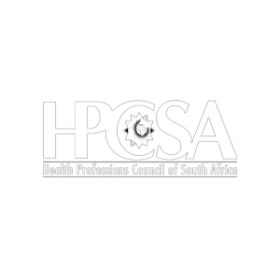 One of the most valuable courses ever attended and expertly presented by a true subject matter expert Johan Marais and team!!! What a great day, I can’t remember the last time I had such a wonderful day. A must for any bush lover, Johan and Ashley are a wealth of information and experience. I have already recommended the coarse to family members. 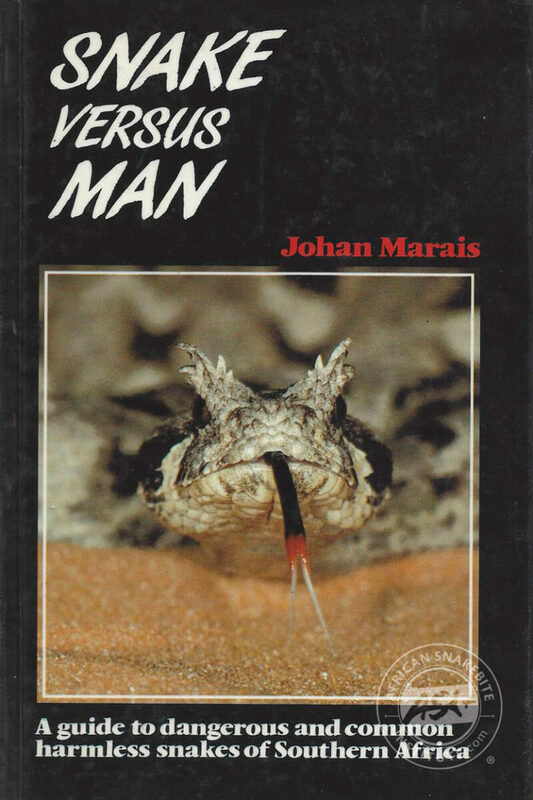 Johan Marais is a well-known African herpetologist with over 40 years’ experience and author of several books on reptiles. 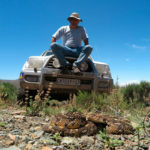 The African Snakebite Institute provides a variety of snake awareness, first aid for snakebite and venomous snake handling courses that are accredited by the International Society of Zoological Sciences (ISZS), Field Guides of Southern Africa (FGASA) endorsed and registered with the Health Professions Council of South Africa (HPCSA) for CPD points. 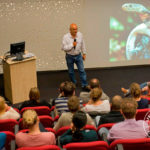 The course contents and handling methods has been developed over many years and after visits to snake parks and reptile research facilities in various countries throughout the world.